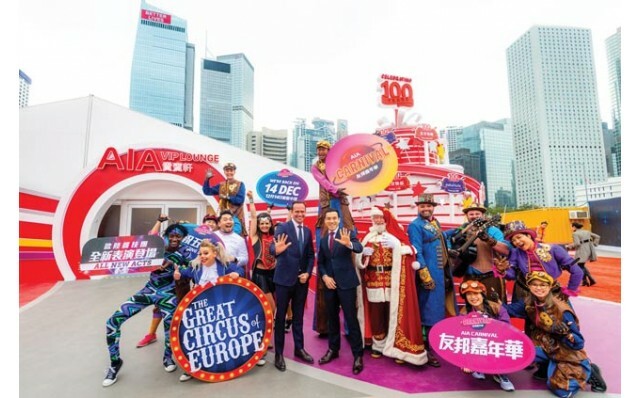 Hong Kong’s Central Harbourfront turns into one giant fun-filled wonderland as the AIA Carnival, the city’s premier winter carnival, returns for a fifth season. This outdoor carnival by the waterfront of the iconic Victoria Harbour is the highlight of the winter festive season. The carnival offers w carnival games, thrilling rides, live entertainment and festival food for the whole family, including top billing the acclaimed Great Circus of Europe featuring stunning acrobatic and daring acts.